Slough, October 2014. 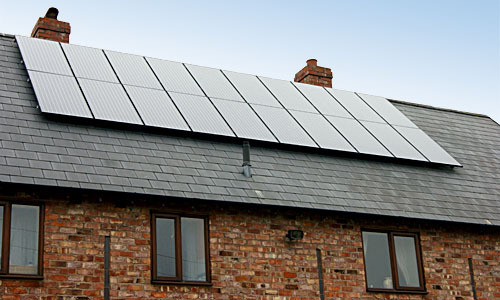 Increasing numbers of consumers are turning to ANTARIS SOLAR PV modules for their roof top solar systems, reports UK Country Manager Andrew Moore. Sales of ANTARIS SOLAR modules continue to rise as end-users look for quality and a dependable warranty to ensure they benefit fully from the government’s 20 years feed-in tariff. ANTARIS SOLAR, PV specialist with headquarters in Germany, has particularly seen exceptional installation growth and record sales from Glasgow based Solar Electricity Systems and Belfast based Blue Build Energy, both companies having secured exclusivity to sell ANTARIS SOLAR modules in their relative countries. ANTARIS SOLAR’s all-black monocrystalline PV modules installed on a residential roof-top. A combination of a quality German brand, long term manufacturer support and longer warranty has particularly caught the eye of end-user buyers wanting to ensure the long term security of returns from their investment in solar energy. ANTARIS SOLAR’s all-black monocrystalline module has proved particularly popular with installers and consumers alike, due to its performance and agreeable look on residential roof-tops. ANTARIS SOLAR was one of the first companies to introduce the all-black module to the UK market some years ago. After four years of consistent growth in the UK and with fewer German solar brands to choose from, Andrew Moore expects to see ANTARIS SOLAR take further market share in the coming months. Solar panels have to be reliable, efficient AND economically priced to make a solar power system provide the best returns for decades to come. With the mono- and polycrystalline high performance solar module series from ANTARIS SOLAR you benefit from the latest German PV technology at competitive prices – to make the most efficient use of the power of the sun. 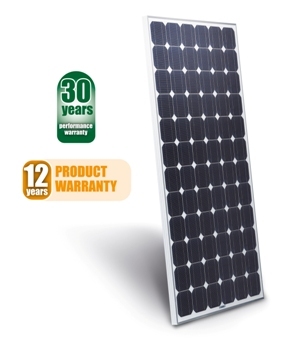 For maximum security, for you AND your customers, ANTARIS SOLAR offers a unique 30 year performance and 12 year product warranty. Our financial stability means that we will be there in years to come to ensure all warranties are honoured with our locally backed customer services. Extensive quality testing by renowned German institutions like TÜV Nord, PICON Solar or TEC Institute ensures that ANTARIS SOLAR panels conform to highest German and international standards. These are all good reasons to partner with us – and don’t forget that ANTARIS SOLAR was awarded test winner in the last module comparison conducted by TEC Institute. And there is even one more benefit: Our modules are also available in black version to meet aesthetic preferences of even the most sophisticated customers. Worcester/Glasgow, 17th June 2014. 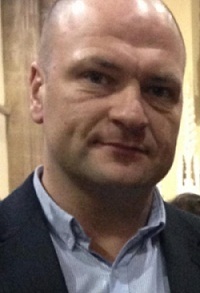 – Brian Beattie is the new Trade Sales Manager at Thermo Dynamics Ltd in Glasgow. Thermo Dynamics is the wholesaler for ANTARIS SOLAR products in Scotland, England and Wales. Brian joins Thermo Dynamics at a time when sales of ANTARIS SOLAR modules continue to increase in the UK with over 4000 end-users enjoying power, investment returns and savings from ANTARIS SOLAR panels. Andrew Moore, Head of Global Sales with ANTARIS SOLAR, welcomed Brian and wished him success in his new role. ANTARIS SOLAR UK Wholesaler Thermo Dynamics. ANTARIS SOLAR, a leading provider of solar technology, has teamed up with Blue Build Energy, the leading renewable energy company in Northern Ireland, in an exclusive partnership agreement. Blue Build Energy will now include ANTARIS SOLAR PV modules in its offering to wholesalers and individual customers in Northern Ireland. Blue Build Energy has already started to promote ANTARIS SOLAR’s solar panels and is running a competition in the Belfast Telegraph. The lucky winner will get a state-of-the-art roof-mounted solar system worth £11,670. ANTARIS SOLAR, a leading provider of solar technology, is amongst the sponsors of this year’s Solar Energy UK, the UK’s largest dedicated solar event, which takes place from 8th to 10th October 2013 at the NEC in Birmingham. In addition, ANTARIS SOLAR’s International Sales Director Andrew Moore will give a presentation during a seminar on the topic of ‘Selling Solar – top tip for staying ahead of the competition’. 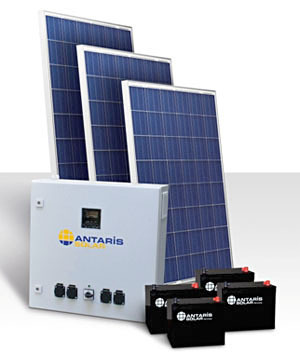 An international manufacturer and wholesaler, ANTARIS SOLAR supplies the whole spectrum of photovoltaic technology. Its products offer the highest quality standards combined with maximum reliability and long-lasting performance. The company’s 30-year performance warranty and 12-year product warranty are amongst the longest and most reliable warranties available in the solar PV sector. Despite reduced Feed-in Tariffs (FiTs), intense competition and numerous insolvencies amongst competitors, ANTARIS SOLAR is confident about the future of the British market and determined to increase its market share. Thanks to efficient corporate structures, a strong balance sheet and a unique partnership model, the company is well positioned to face the future. 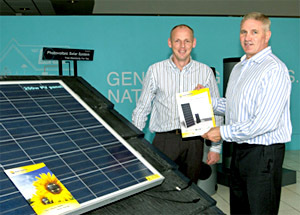 As part of international direct marketing specialist GOEDE Group, ANTARIS SOLAR shares resources with its sister companies, saving costs and providing financial flexibility, which in turn translates into competitive pricing and lower procurement risk for organisations wishing to invest in solar farms and utility grade projects. Amongst the ANTARIS SOLAR products on show during Solar Energy UK is the latest version of the eKiss (short for energy Keep it simple & safe), a modular, “plug and play” solar battery system for use in off-grid-settings. The new eKiss type 4 benefits from increased inverter load and informative panel display and comes with grid connection switch over. It can supply AC power to household or business appliances in sheds, barns, stables or outbuildings, providing electricity for washing machines, refrigerators, telephone systems, televisions, laptops, portable power tools, e-bikes, electric golf trolleys and even caravans. It is also ideal for governments, charities, individuals, aid agencies and churches wanting to fund electricity supplies for families and small businesses in rural areas of the developing world. During this year’s Solar Energy UK, ANTARIS SOLAR’s International Sales Director Andrew Moore will give a presentation as part of a seminar on “Selling Solar – top tips for staying ahead of the competition”, which takes place on Thursday, 10th October from 1 pm to 2.30 pm in the Technology Theatre. Andrew will explain why he believes solar PV modules should not be sold on price, as a commodity, but as a long term generator of value, income, and cost and carbon saving energy. He will explore the real questions that should be asked by consumers and investors alike before choosing a PV module supplier. The presentation is of particular interest to installers, developers, manufacturers and Energy Performance Certificate (EPC) advisers.